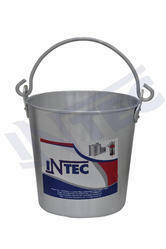 We Bring Forth a comprehensive range of Aluminium Buckets. There is Casting Handle which makes easy to carry filled bucket. We ensure high Durability, sturdiness and absolute leak proof product due to highly cautious process of Manufacturing. We cater an exclusive range of wine and ice bucket in different designs and shapes. They are available with double walls that prevent the heat from coming in contact with the inner walls and thus protect ice for longer durations. These ice buckets can also be customized as per the requirements and choice of our clients. We are looking for foreign enquiries also. 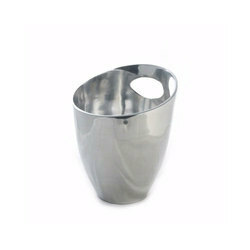 We are provided comprehensive range of Aluminum Ice Bucket. These buckets are made using quality industrial aluminum, which ensures sturdiness, durability and resistance to corrosion. With immense market knowledge, we have been able to provide optimum quality Aluminum Bucket. Gadia Aluminium supplies a range of Aluminum Bucket- disco balti. We are identified amongst the best Manufacturer and Supplier of Aluminum Bucket. Design and Usage - Aluminum Bucket are durable and high quality product. Can be used for storing, transporting liquid materials in Industry or can be used as a household utensil.